OneSmart is a reloadable multi-currency prepaid card that earns Airpoints Dollar on spend, and comes with 3 free international ATM withdrawals per month. OneSmart is a prepaid debit card that doubles as your Airpoints membership card. The card has an earn rate of 1 Airpoints Dollar per $200 for spend in New Zealand Dollars, and 1 Airpoints Dollar per $100 spent in foreign currency (either abroad or online). This is a guide that looks at the card basics, the costs to use, and our take on whether it’s worth using on spend either in New Zealand, or abroad. It’s important to compare the exchange rates of other options and consider the trade-offs before jumping in and loading your OneSmart card in order to earn Airpoints Dollars. For many points collectors, the OneSmart card doesn’t rate very highly, but it could be a good card to have for those who can’t get or who don’t want a credit card. For example, OneSmart has a lower age restriction than most credit cards (16 years vs 18 years), so high schoolers can start earning their own points from their own personal spend. This card’s attractiveness is not in its (un)favourable exchange or earn rates, but rather its convenience. You also won’t need a credit check to apply for one. OneSmart is a reloadable prepaid debit card, meaning that you are never spending the bank’s money (credit), but rather need to load it up with your own money before it can be used. It markets itself primarily as a travel card, but there is limited value here – we’ll go into more depth on the reasons why later. But as a daily spender, it could be useful to some. It’s also your Airpoints membership card, so you can use it to fast-track check-in at the airport, for example. The card can be loaded via debit card, bank transfer, or bill payment, all of which can take up to 2 business days at worst. The option of loading up the card using a bank debit card will see you cop a 1.5% load fee. It is not possible to load up using credit cards and other card types. You can cash out any unspent money to your bank account. 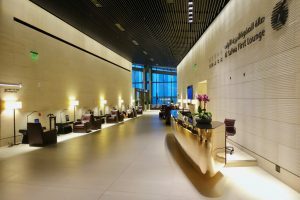 As highlighted at the top of the article, the OneSmart earns a paltry 1 Airpoints Dollar for every $200 spent domestically on eligible transactions. Currently, eligible transactions include pretty much everything (including paying tax with the IRD) but specifically excludes money orders, traveller’s cheques, gambling chips, purchasing foreign currencies in cash, and ironically, flights with Air New Zealand. If you spent $2,000 per month on this card, a return trip from Auckland to Wellington with your partner at $100 per person will take you more than 1.5 years to save up for! On the flip-side, OneSmart earns you 1 Airpoints Dollar per $100 (NZD equivalent) spent on foreign currency transactions. You are “buying” Airpoints Dollars at a slightly better rate than you would for domestic spend, but still not one that I consider good value, given the poor value of Airpoints Dollars generally. Note: these figures assume that you are not loading money onto the OneSmart or Qantas Cash cards in a foreign currency type, which results in an effective currency conversion fee of slightly worse than 5%, as opposed to 2.5% for NZD spend. Make sure to read our guide on how we value points in New Zealand. By far the biggest problem with travel cards are their poor exchange rates when they are loaded with foreign currencies – specifically, the “padding” over and above the base Mastercard rate. They are big on suggesting you ‘lock in’ your exchange rate now by converting everything over to the foreign currency you need. However, I don’t see this as a good strategy. If our dollar falls, great – you’ve saved some money. But if the dollar goes up, you’ve just lost out. We’re not all professional currency traders (and even they get it wrong). Granted, this is a free card, and this is a big part of how they make their money. You can do much better by simply loading the card with NZD and using these overseas or using a standard credit card. Should you lose your OneSmart card or if it has been stolen while you are travelling, you may be eligible to receive an emergency cash disbursement. This is a benefit that is similar to that offered with any standard credit card. To access emergency assistance simply call the OneSmart Customer Service Centre helpline on 0800 787 555 (local call) or +64 9 377 8535 (from outside New Zealand). Once a customer service representative has established that you have sufficient means of payment (through the availability of money on your OneSmart card), they will arrange for the money to be made available to you at a convenient location, which could include Western Union, MoneyGram and other MasterCard Prepaid Management Services approved agent locations. 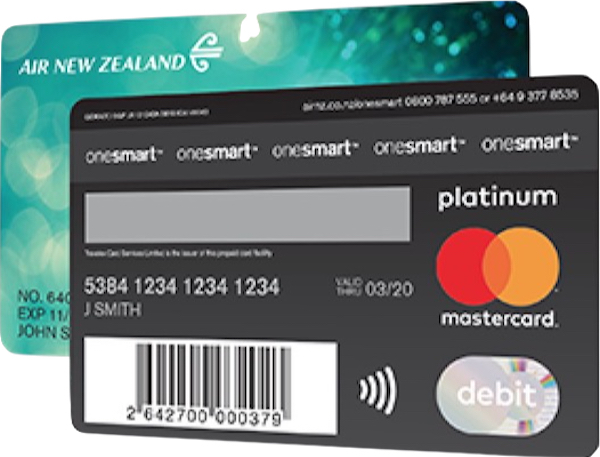 You can use the OneSmart card to avoid paying any fees when purchasing flights direct from Air New Zealand. Though if you pay for the flights via internet banking transfer, there is also no card fee incurred – and how did the money get on the OneSmart card in the first place? Probably internet banking transfer. As such, I wouldn’t recommend loading money onto the card to use for this purpose alone – noting that you’ll also incur the $1 monthly account keeping fee. Make sure to read the Product Disclosure Statement and Terms & Conditions for OneSmart before using. I have observed over the years that travel cards seem to provoke some pretty extreme responses from friends and family – some people love them, and others (like myself) hate them. They are not good cards to use for travel (despite the marketing) and have a particularly abysmal earn rate when used here at home in New Zealand. 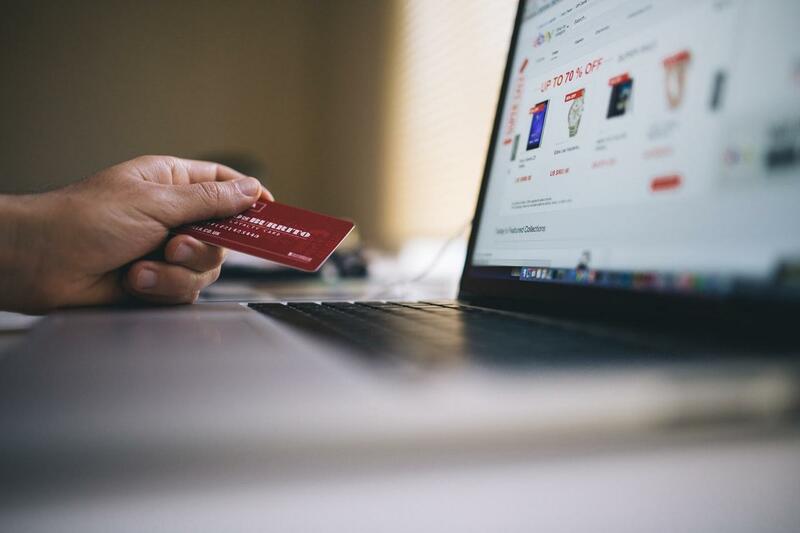 Though for many, the OneSmart card could be handy little points earner if the alternative is earning no points at all, particularly for those who may not otherwise be able to apply for and access a standard credit card. Have you used OneSmart before? What are your thoughts on its benefits? Point Hacks is published by Newformula Media. Newformula PTY LTD (ACN: 609 361 051) is a credit representative (486568) of Eurofinance Corporation Pty Ltd (Australian Credit License: 393845). In some instances, Newformula PTY LTD receives a commission or benefit for referring you to the services of a credit provider. This commission or benefit is disclosed at the point of referral to the credit provider. This website does not provide credit, assist you in obtaining credit, or advise you to apply for any particular product from a provider.